Shortly after it was announced Matt Hughes would hang up his mixed martial arts gloves to become the UFC’s VP of athlete development and government relations, the planet’s premier MMA promotion reported they have created a clear set of athlete guidelines, or Conduct Policy, memorializing the values long held by the organization. The UFC has always tried to hold their athletes to the highest standard. However, the organization recognizes that athletes face professional and personal pressures, and with health and safety paramount, the Conduct Policy will position UFC athletes for a successful career and post-UFC future. In addition to serving as a mentor, Hughes will also help spearhead the Conduct Policy charge. 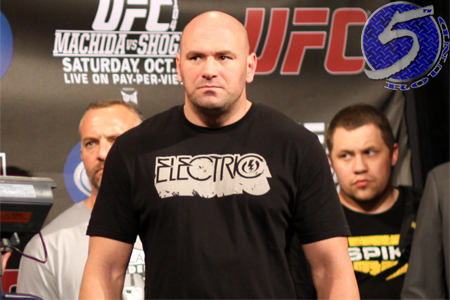 “Hughes will be an invaluable resource for UFC athletes,” said Lawrence Epstein, UFC COO. “Leveraging the background and expertise he gained over a Hall of Fame career, Hughes will be dedicated to providing guidance on a wide range of issues athletes face inside and outside of the Octagon. This includes understanding the heightened social responsibility that comes with being in the public eye, to best practices when dealing with endorsements or managing finances, to the basic daily challenges of staying healthy during training, as well as the need to steer clear of illegal and/or performance-enhancing drugs. The UFC’s Conduct Policy is really nothing new, this is simply the first time the organization has put pen to paper and placed it in front of their fighters. With MMA gaining mainstream acceptance by the day, the need to become more PC has never been as important. It will now be the UFC’s responsibility to hold their athletes accountable to their Conduct Policy.